Only nine days left until the Tzemach Tzedek dinner to commemorate both Chai Ellul and the tenth anniversary of the rebuilding of our Shul. The special guest speaker for the night is Rabbi YY Jacobson. 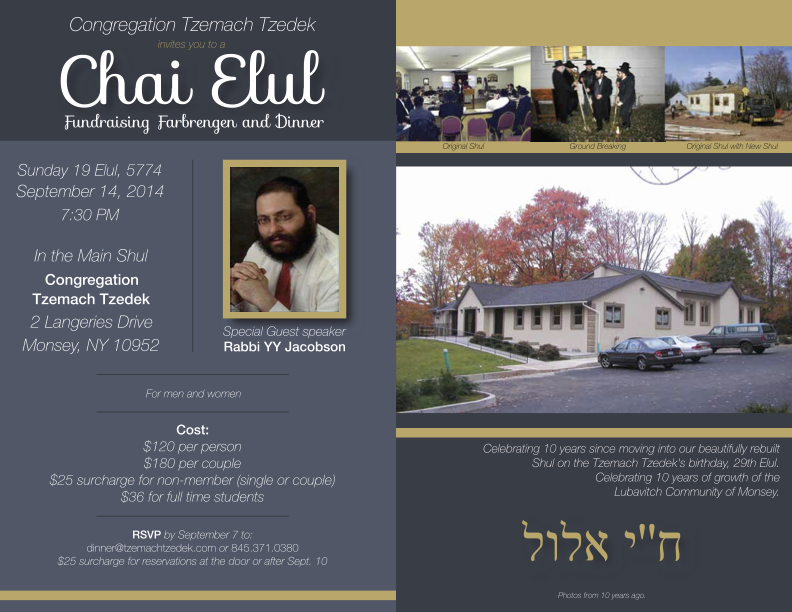 Pricing is $120 per shul member, and a discounted $180 per shul couple (i.e. only $60 extra). The RSVP date is this Sunday. If you plan to attend, please send an email ASAP to avrahamhayman@gmail.com.